Easter Monday, April Fools’ Day, Autism Awareness Month. The Mind Reels. Renewal and irony and reality all converging on a single spring day. 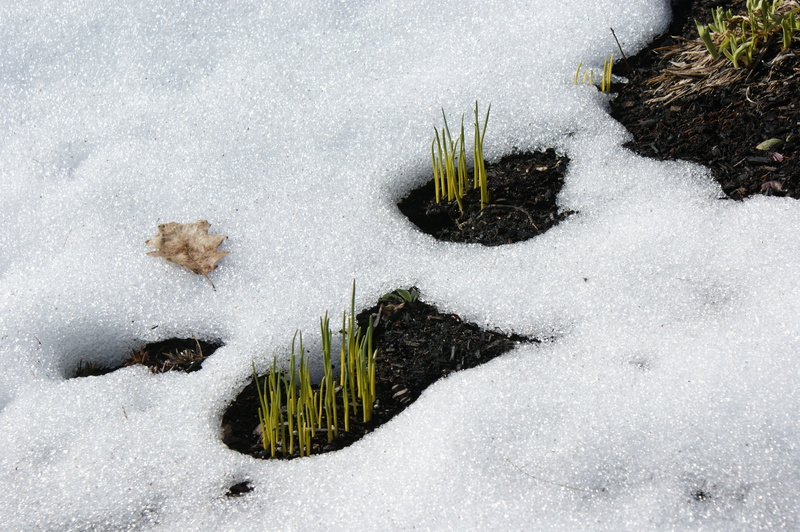 Melting snow, green shoots, black earth. The extremes of New England’s seasons are the metaphor I cannot ignore. I tend to roll my eyes on the awareness month for anything, and even more so for Autism Awareness Month because I’m conflicted about foisting upon the world an awareness of what I consider to be our private business. But making the world more navigable for our boy is part of that business and thus I need to try to find ways to use the opportunity that autism awareness month presents without seeming insufferable and needy (good luck with that, I know). And what is a blog for if not for saying something that I think might be worth reading? I ask myself all the time why I do this and most of the time the answer is that I write about it because I can’t not write about it. From my perch, autism awareness is as much about the journey and the humor and poetry borne of the angst and the crazy – it’s not nearly as helpful as what others are contributing to the dialogue, but it’s what I have. So in a nod to the everyday awareness that we have of autism, I’ll post something every day (an essay, photo, or link to those who are saying it better than I) in April in hopes that something and interesting and good will come of it. Today, John Elder Robison continues to fight the good fight for people with Asperger’s Syndrome in the wake of Sandy Hook.